As part of the Random Access Memorabilia (Book 13) Kickstarter we’ll be doing a ship coin for Bristlecone, which featured prominently in books 12, 13, and 14. I’ll be drawing this ship again for the coin, and doing so for the first time in a couple of years at least. In order to get it right, I made a model sheet from some of my favorite drawings of the ship. The image in the upper left was rendered by Jeff Zugale¹, who did all the ship design work for Planet Mercenary. Everything else was my line art. I’ll probably be drawing the ship using a camera angle similar to the upper center, but with more detail, like the images in the lower left (in front of the tufted wing shark¹) and lower right corners. 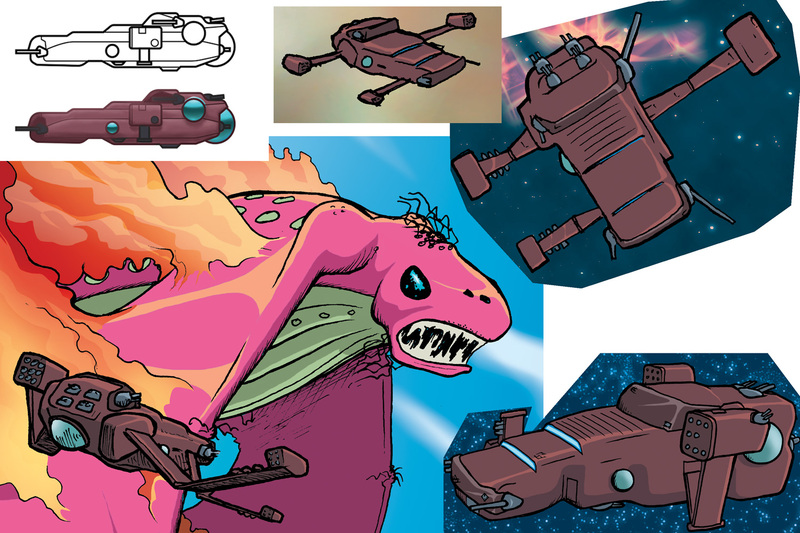 In the Planet Mercenary RPG, Bristlecone is defined as a Celeschul Orbital Foundries Wyvern-class vessel. The hull and A.I. were built and integrated in the 26th century, but improvements in annie-plant tech led to numerous upgrades. The full history of the ship won’t fit on the coin, but we’ll hit the highlights. The tufted wing shark² won’t appear on the coin anywhere. ¹ Jeff “Starshipwright” Zugale is doing an art book Kickstarter WITH SPACESHIP TOYS right now, and you should go look at it. ³ At least to humans, who know what the word “shark” means. 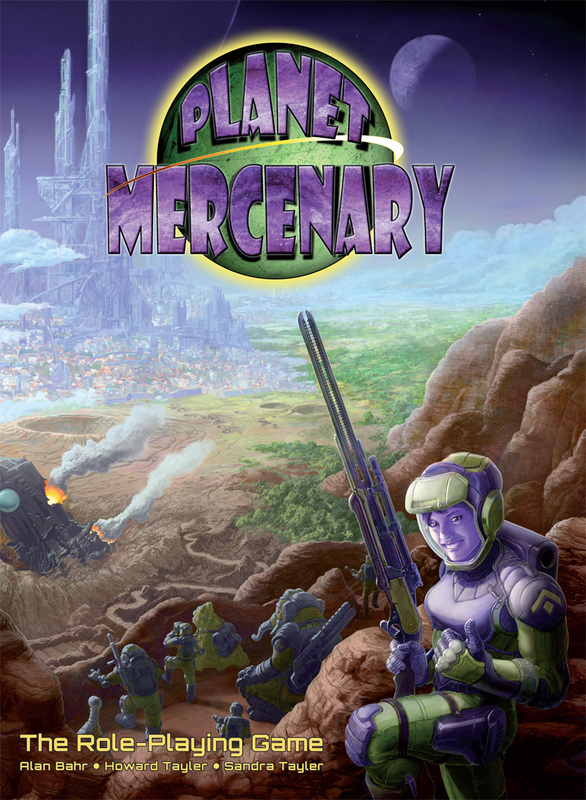 If you backed the Planet Mercenary role playing game on Kickstarter, your rewards (books, cards, dice, tokens, etc) are on their way. Many of you have already gotten packages, but many more of you are waiting on things that are still stacked at the Hypernode Media shipping center awaiting their turn in the “shipping and handling” portion of this process. It’s a complex process, and Sandra is running it brilliantly. A decade ago we ran things like this with the help of an ad-hoc team of volunteers. These days we have a warehouse¹ and a press-ganged team of minors². The biggest limiting factor is that we’re shipping in the summer, and the warehouse is not air-conditioned. 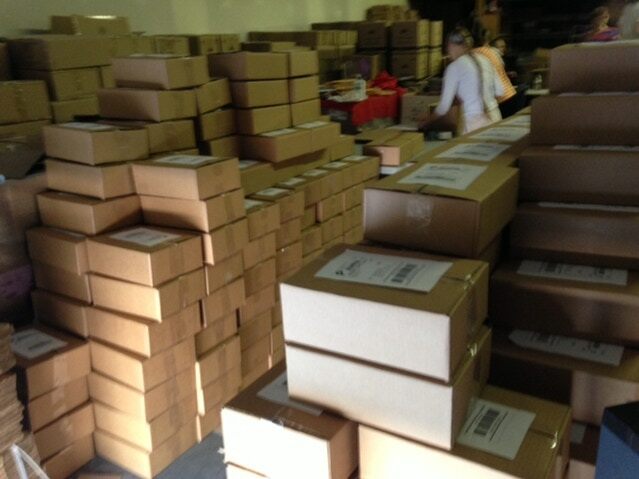 Shipping days begin at 8am, and end by noon, just before the team begins dripping sweat onto the merchandise. My role in this is pretty simple: stay out of the way, and make comics. I’m leaving for four weeks of travel on July 26th, and must fill the buffer with at least five weeks of comics by that time, so while Sandra and her crew endure the heat and heavy lifting, I’m enjoying the A/C and my collection of art supplies³. It is not fair, and I do feel a bit guilty about it, but it’s the only way through. ¹ The warehouse costs almost twice as much per month as our first house did. Running a business is expensive. ² It’s not entirely comprised of minors, and everybody is paid at least minimum wage, with all of the accompanying paperwork. Again, running a business is expensive. ³ Sometimes I draw on the couch in front of the TV, enhancing that air-conditioned, seated feeling of guilt. 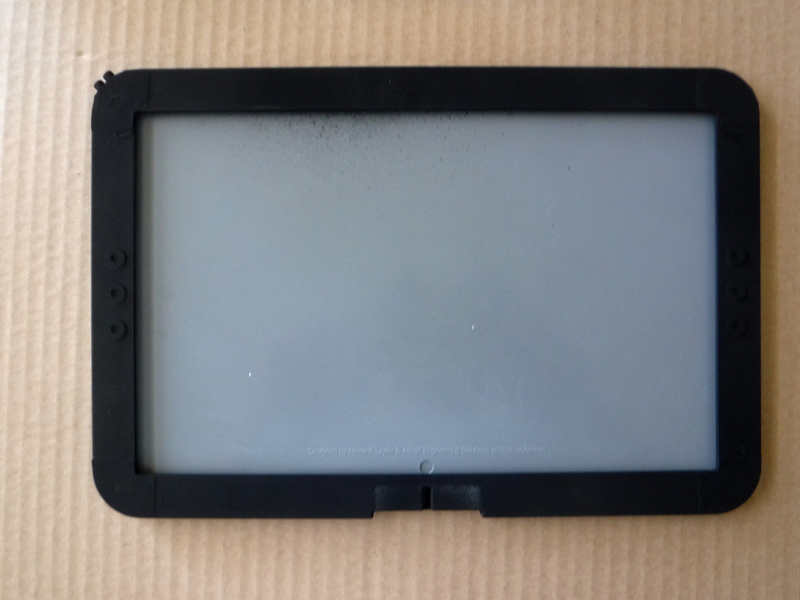 In this post I’ll explain in detail how you too can turn your fancy Deluxe Game Chief’s “Handbrain” Screen from slick, dry-erase-compatible ABS plastic to a battered, rusty piece of equipment that has seen better centuries. Sandra did all the modding work shown here, and she is a beginner. I explained the processes and provided tools, but she is the one who applied all the paint. This was her second experience with spray paint, and her first experience with glazing and dry-brushing, so while the results are perhaps a bit less polished than if I’d done the work, they’re easily within the reach of somebody who is new to hobby painting. This tutorial is long, but the actual process goes very quickly, and most of the time you spend on the project will be spent waiting for things to dry between steps. Letter or A4 paper, folded or cut in half. Two paint brushes—one for the rust wash, and one for dry-brushing. With the exception of the paint, brushes, and sanding sponge, everything here is probably already in your house. If not, the total cost of these supplies is between $20 and $30, unless you go all-in on fancy brushes, which we did not. The P3 paints are available from your friendly local game store, and from lots of online shops as well. Each bottle costs about $4. 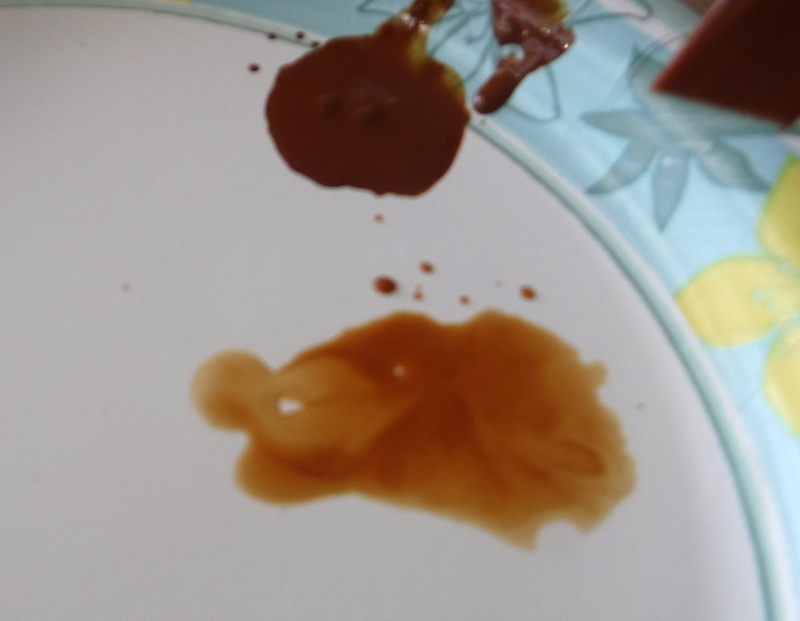 Any metallic acrylic hobby paint can be used in place of the Pig Iron, but I have not found an acceptable “rust wash” substitute for Bloodstone. 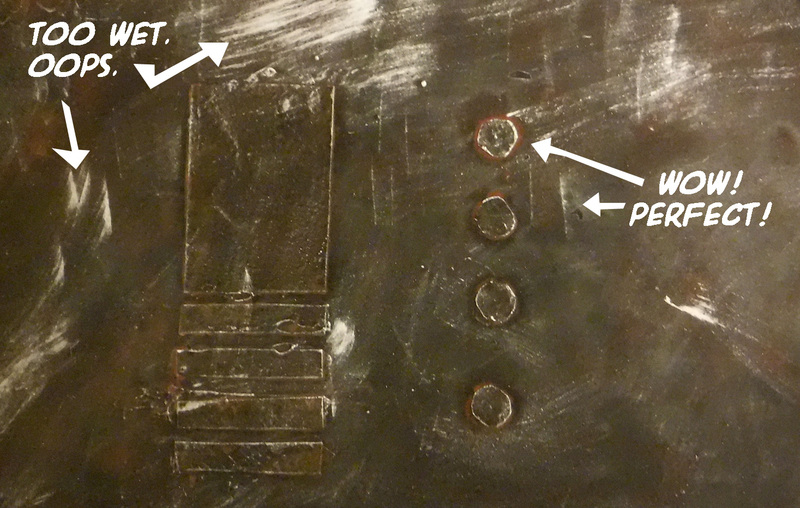 In which we add a little of our own texture to the surface, and get it ready for paint. If you’re feeling really plucky, take the scissors and score some “battle damage” in places. Wipe it down with a damp paper towel, and then wipe it dry. This is the only critical step here. The sanding and scoring is just for show. 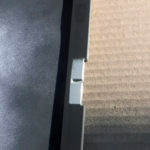 Cut paper patches for the eight holes in the corners of the screen. 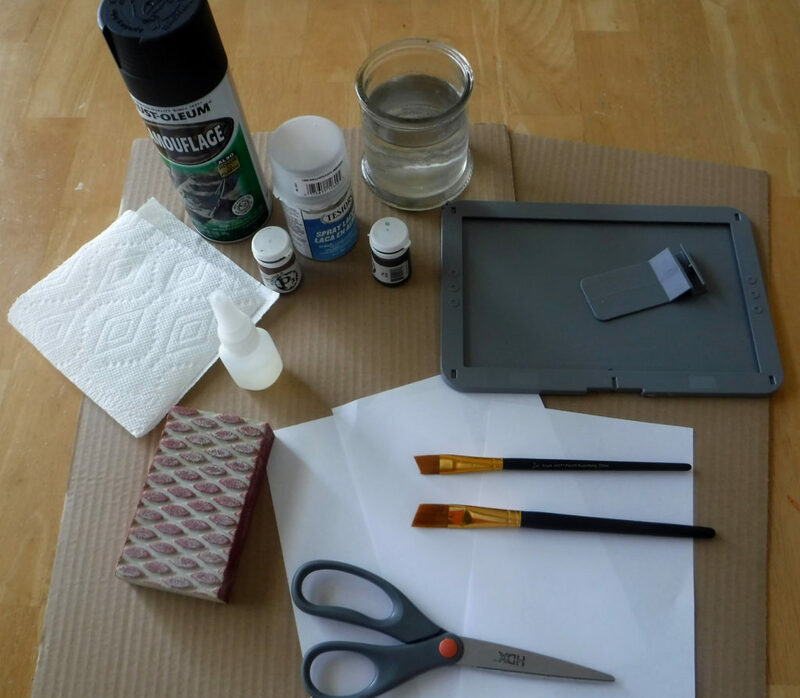 DO ALL GLUE THINGS ON DISPOSABLE CARDBOARD WORK SURFACE. Because superglue is forever. Carefully, drop-by-drop, create a bead of superglue around the hole. Lay a paper patch over the hole. It will wick up the glue and change color. Using a Q-tip, flatten the paper. As necessary, add another drop of superglue, and spread that with the Q-tip. Repeat steps 3-5 for the remaining 3 corners on this face. Flip the screen over, and repeat steps 3-7 for the four corner holes on the back. Feeling plucky? Cut some more paper into cool shapes, and glue those down. By now you’ll feel pretty confident in your process. Sandra did! If you’ve spray-painted things before this whole section will seem like too many words. Find a good place, like and outdoor place, to paint. 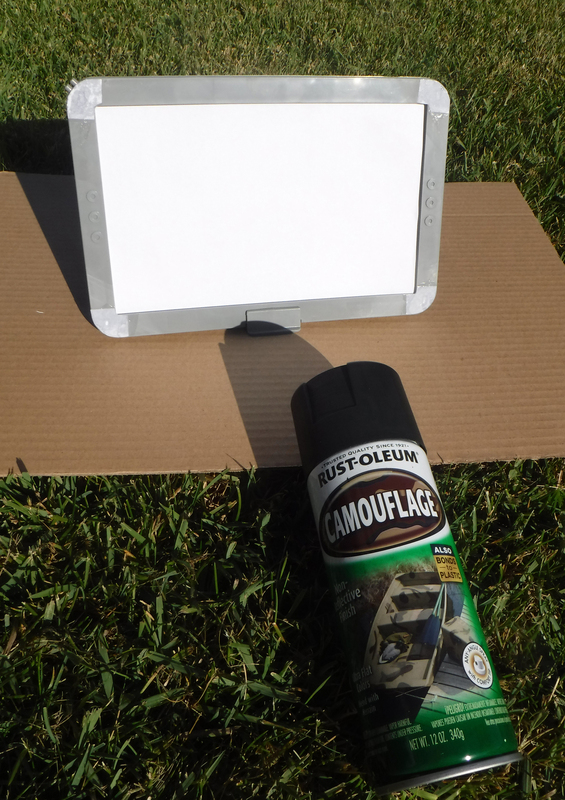 Use your cardboard to prevent painting things that should remain unpainted. 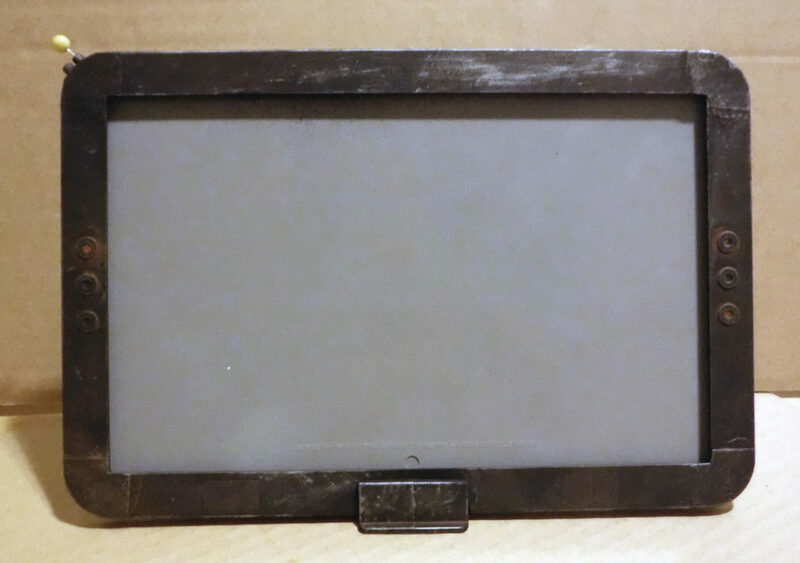 Stand the screen on its base, and insert a sheet of paper to mask the inside surface of the screen. Wait for it to dry. Ten to twenty minutes, unless you over-sprayed and made puddles. The ultra-flat finish paint is only shiny when it’s still wet, so you don’t need to touch the surface to check for dryness. Remove the screen from the stand. 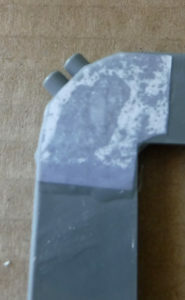 See the bit that was masked by the base? Very lightly spray that part, front and back. Thanks to quirks in the formulation of P3 Bloodstone, this step is like magic. It looks terrible, and then suddenly it looks perfect. Closely consider this picture of wet paint. The upper puddle is P3 Bloodstone with a little water in it. The lower puddle is water with a little P3 Bloodstone in it. You’ll be using the lower puddle. Get your brush sopping wet in the watery Bloodstone puddle. Generously apply that to the Handbrain. You’ll need several brushloads to get the job done. The back of the handbrain, before and after the Bloodstone wash has dried. Feeling better about the mess? Keep waiting for it to dry. You’ll know it’s dry when you begin wondering where this rusty piece of metal came from. Repeat steps 3-5 on the back of the screen, complete with more waiting. Also, do the stand now. This is what the back of Sandra’s screen looked like in bright light. That’s ABS plastic, superglue, and paint. 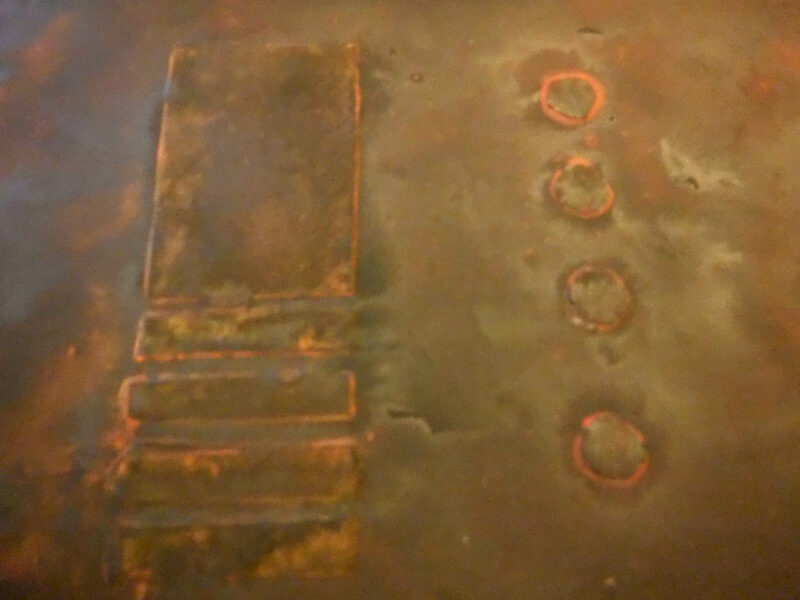 No slabs of iron were oxidized in the making of this photo. 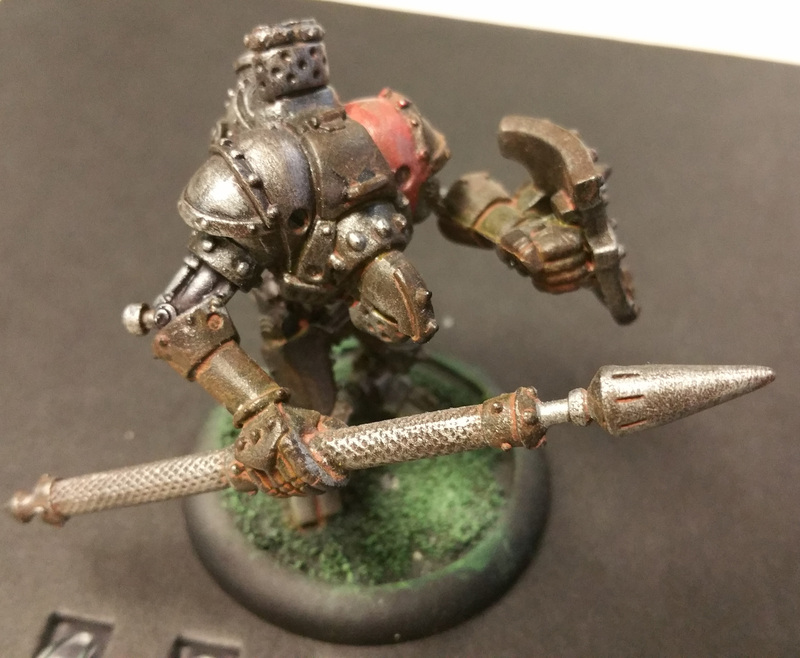 In which you learn to drybrush, and possibly get frustrated about having ruined the whole thing, but that’s normal because there’s a learning curve. Look at this picture (click to enlarge). It is from Sandra’s first-ever drybrushing, and it has awesome bits, and some mistakes. Get a little paint on your big brush. With a rapid, back-and-forth motion, paint the paper. You’re getting all the wet paint off the brush, and getting air between the bristles. Keep going until no more paint blotches appear. Pick up the stand (not the screen) and with that same motion, brush against the “grain” of the screen, your strokes moving at 90° to any raised edges or details. You’ll know you’re doing it right when the edges look shiny, but the flat areas have very little metallic sheen to them. When the shine no longer appears as you brush it is time to reload your brush. Repeat steps 4-5. Aren’t you glad you practiced on the small piece? Feeling confident? Good. Pick up the screen, and drybrush it until you’ve made all the edges shine from the wear-and-tear that shaves oxidized metal away, and polishes what’s underneath. Here’s what Sandra’s looks like without the paper mask in place. 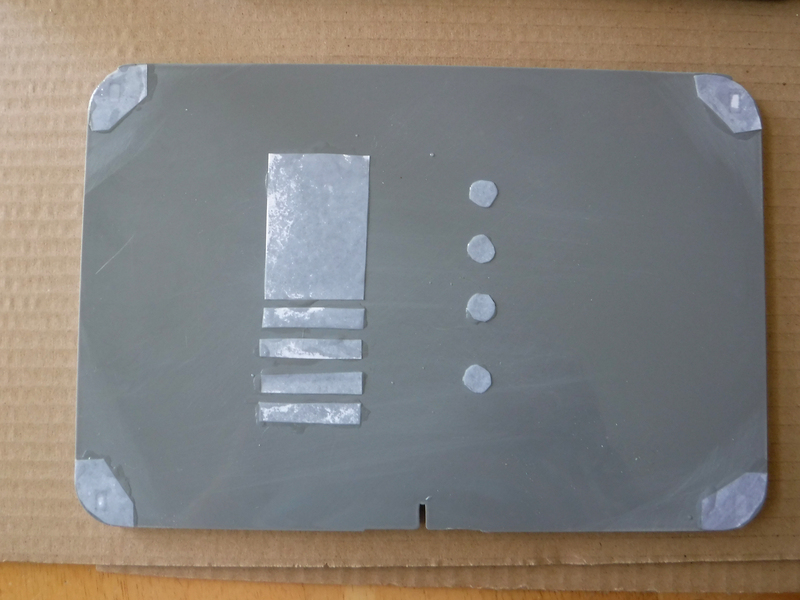 The grey is naked ABS plastic. The rusty metal is not actually metal. Neat, huh? Because you want to play with it, not just put it up on a shelf for display, right? Return to your spray-painting place. It needs to be ventilated well, because this paint is pretty smelly. If you removed it the paper from the screen, put it back in now. Lightly spray the screen and its base with Testor’s Dullcote spray lacquer. Make sure to spray the part where the base covers the screen. Testors Dullcote is my absolute favorite protective finish for models like this. It drys to leave a very flat, matte finish. Reflected light won’t be obscuring the paint job you worked so hard on. 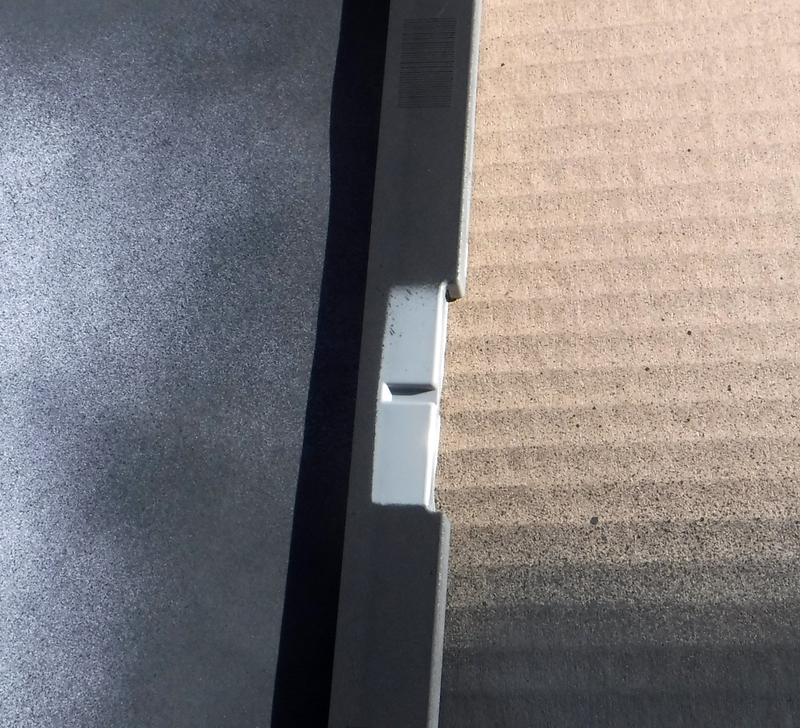 It shows off your work, while protecting the model from ordinary wear-and-tear. I like it so much I’ll totally shill for it, as evidenced by the linked text. I’ve used other matte finishes, but none are as purely non-reflective as Testor’s. I often refer to this process in a way that omits all the persnickety details: “base coat, wash, drybrush, done.” For folks familiar with the hobby, that’s enough to get the point across. Cygnar Lancer warjack from Privateer Press. Photo, May 2017. Stopped painting sometime in 2013, or maybe earlier. It’s not the only way to get this look, and it’s not even necessarily the best way, but after lots of experimentation, it strikes the right balance between “easy” and “the right look,” at least for me. 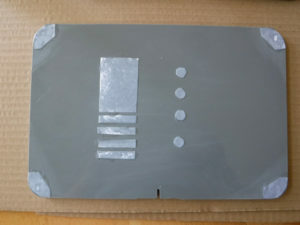 I’ll be posting a photo tutorial later today explaining how to use some simple hobby paint tools land techniques to make the ABS plastic screen look like it’s made of rusty wrought iron. 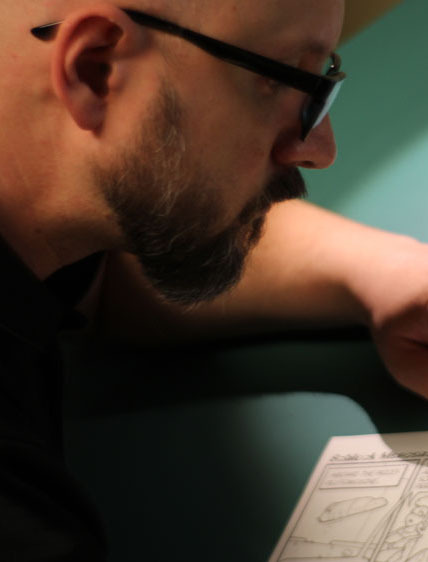 ¹ The project had to fit between a couple of other things: the earliest date at which we could, in good conscience, launch another Kickstarter, and the last possible date at which we can give the manufacturer numbers for the run, and still ship stuff in July².